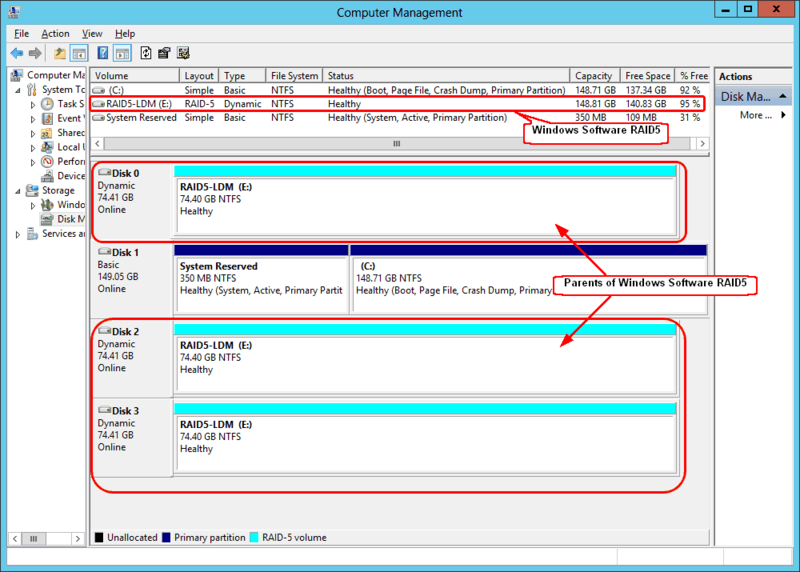 R-Studio supports dynamic disks, including Windows software RAIDs, mirrors, and spanned volumes. When R-Studio detects components from such dynamic disks, it assembles them accordingly. R-Studio automatically detects components form dynamic disks and creates those dynamic disks automatically. 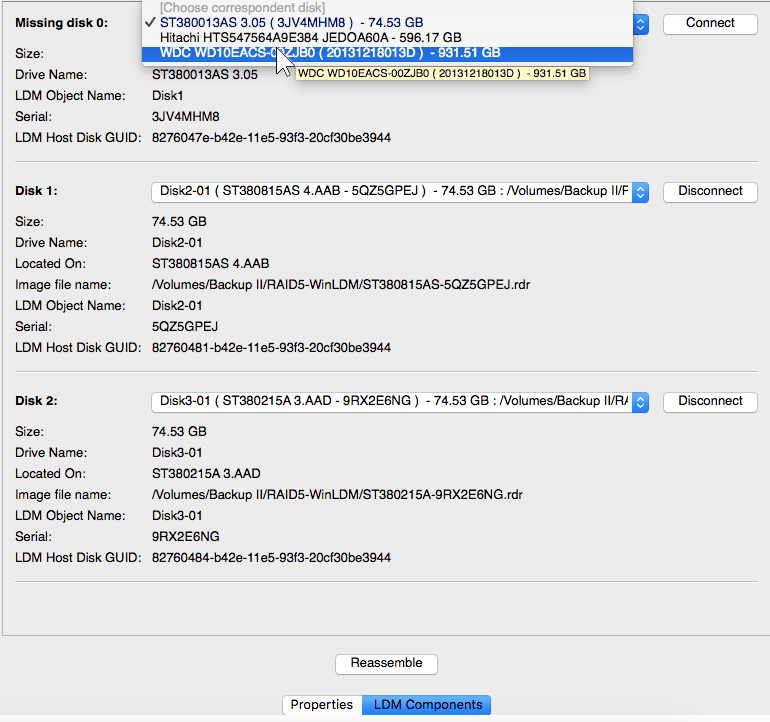 At the same time, R-Studio gives access to the parents of the dynamic disks (hard drives and images). Also, R-Studio automatically detects inconsistent components of dynamic disks and marks them accordingly. R-Studio shows the components of the selected dynamic disk on its LDM Components tab. R-Studio shows broken dynamic disks in pink. 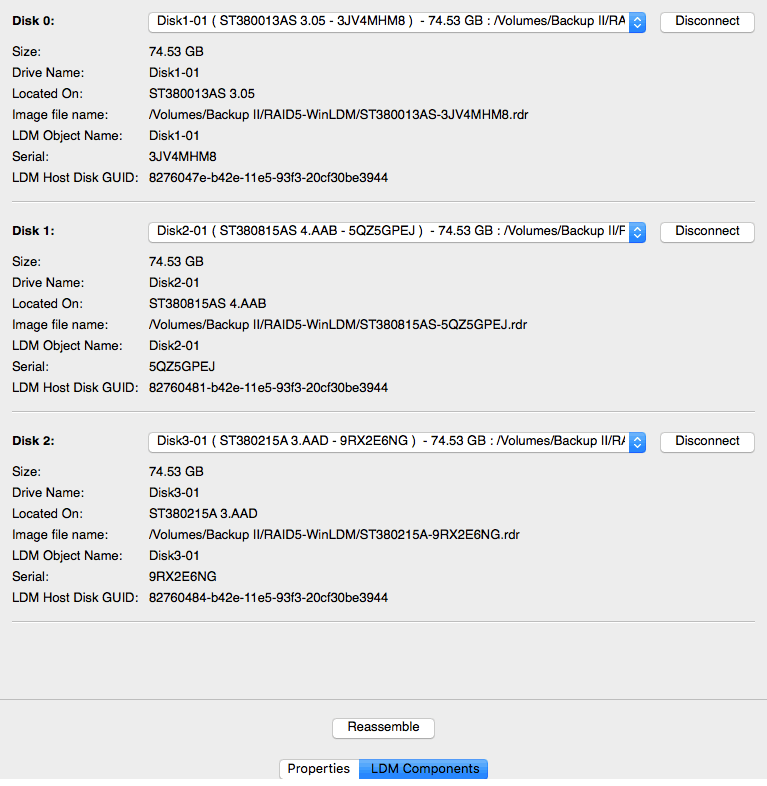 The LDM Components tab also allows you to manually disconnect or connect the components, for example, if they are such damaged that R-Studio cannot recognize them as parts of a broken dynamic disk. Select the object from the drop-down box and click the Connect button. R-Studio displays the objects it recognizes as the components of the dynamic disk in blue. You may immediately switch to the dynamic disk configuration that R-Studio believes most probable by clicking the Reassemble button.